Exeter Decorating Center is the solution to a beautifully decorated home. 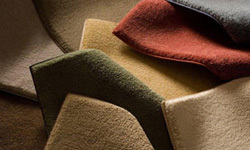 We have ample flooring, upholstery, painting, window treatments, and wallpaper options that can significantly improve the appearance and comfort of your living space. We supply the products and materials you need, which our in-house mechanics can install for you. If you have ideas on how to jazz up your living room, dining room, kitchen, bathroom, bedroom, or any other room in your home, call us today! We also have a showroom you can stop by to gain some inspiration. For more than 30 years, we’ve been offering homeowners in and around the Exeter, NH area unrivaled interior design and decorating services. We know that for most people, it can be hard to envision new window treatments, a newly painted wall, or new flooring, before any work is done. That’s what we’re here for! We’ll help paint you a picture of your new space with new floors, freshly painted walls, custom upholstery, and whatever else you need. We want you to love the home you live in, and everything about it! We have all kinds of choices including carpeting and area rugs, tile and stone, hardwood and wood laminate, and vinyl and linoleum cork. We carry Mohawk, Fibreworks, Stanton, American Olean, Pergo, and so many others to choose from. We can create custom drapes, valances, cornices, shades, blinds, shutters, and bedroom ensembles for added comfort and elegance. We also create custom upholstery and slip coverings! We carry products from Zar, Purdy, Wooster, and Pratt & Lambert for the best finished look. If you don’t like the colors we have to choose from, you can create your very own! Check out this Google review!